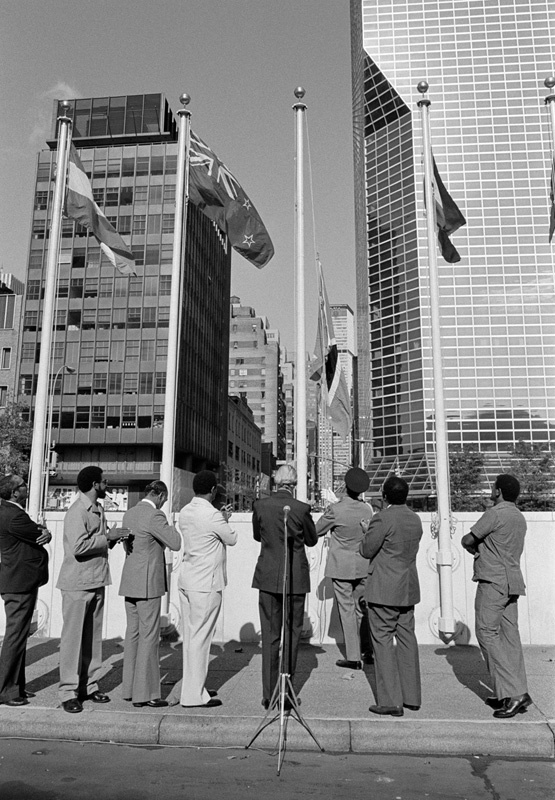 The flag of Saint Lucia being raised at a ceremony in front of the delegates' entrance to United Nations Headquarters. 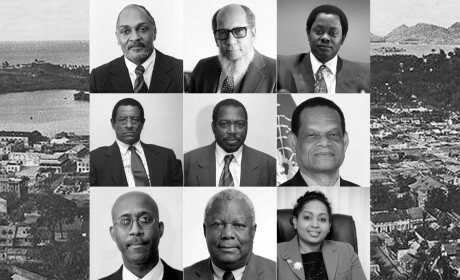 This followed the country's admission to the UN as its 152nd Member on 12/09/1979. 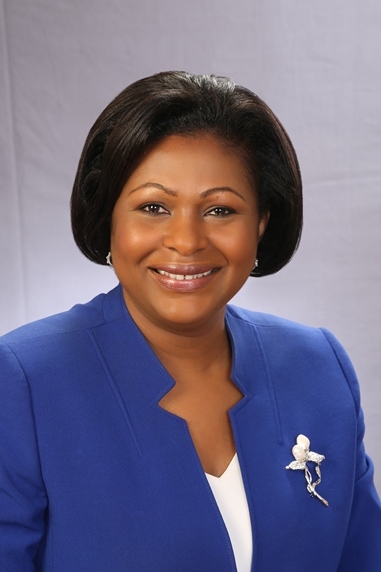 of Foreign Affairs of Saint Lucia. 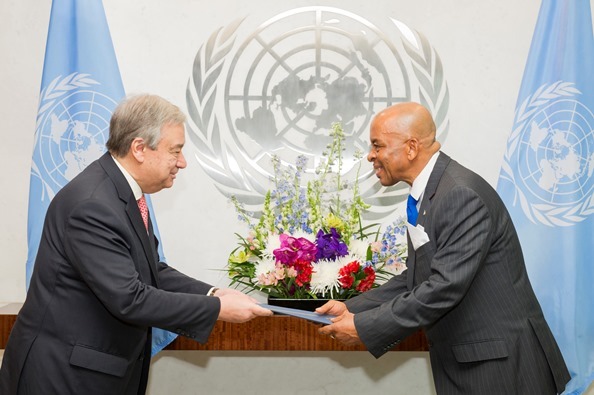 credentials to Secretary-General António Guterres on 02/22/2017. 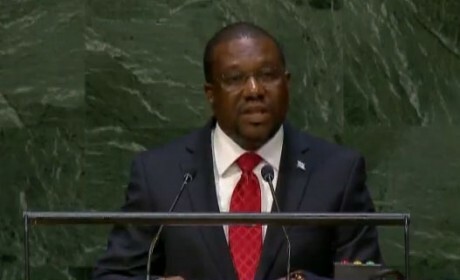 of the General Assembly in September 2003, addresses the Assembly. Session of the General Assembly on 17/12/2003. 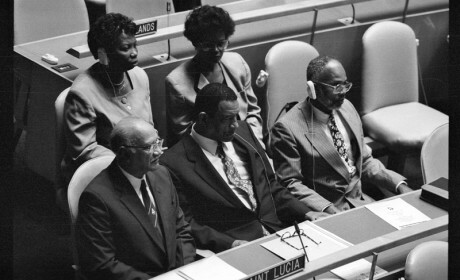 Assembly and Kendall Hippolyte, at UN Headquarters on 25/02/2004. 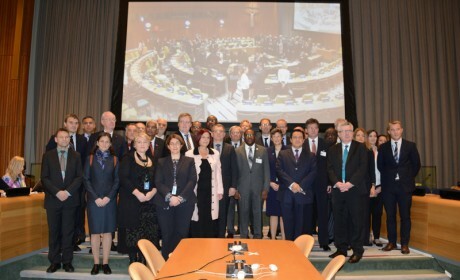 at the Council of Presidents of the General Assembly of the United Nations 15th October 2014. 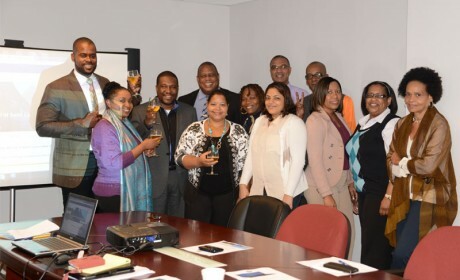 The Permanent Mission of Saint Lucia represents the Government of Saint Lucia at the United Nations. List of countries with which Saint Lucia has diplomatic relations.